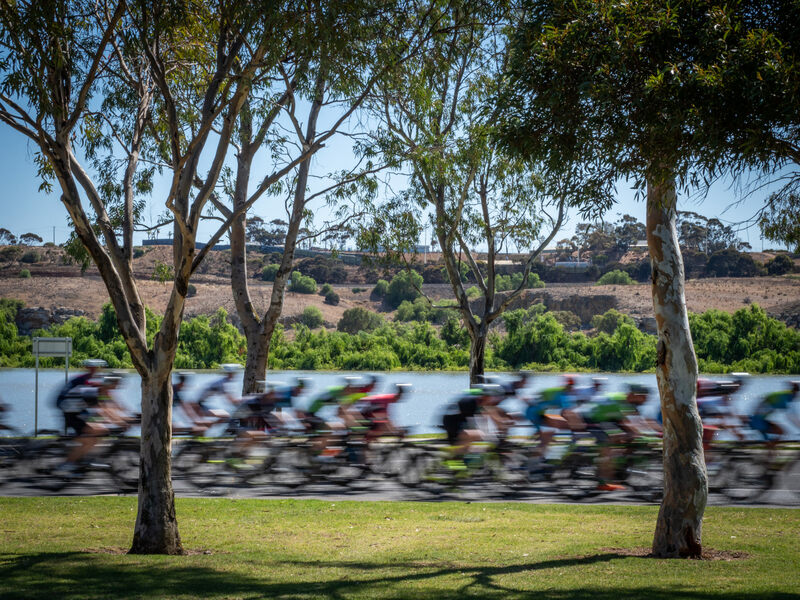 Sturt Reserve Murray Bridge has a long history as a home to pedal powered racing. The longtime home to the UniSA Pedal Prix 24h event, The Rural City of Murray Bridge welcomed the Super Series back for the second consecutive year. A full days racing set on the banks of the Murray River provided about the best Sunday that one could ask for. Cat Two Masters/Men’s Three see Norwood Cycling Club’s Tom Baxter return to the top step for an unbelievable 4th time for the series. With three wins in the first three rounds, Baxter had looked unstoppable, and at the time you could assume that he would walk away with the series. However, it looked like these predictions may have been a little premature, as Gareth Davies took a huge chunk out of Baxter’s Lead in rounds four and five. This win and Davies’ fourth place sees Baxter travel into the final round with a 12 point lead. Although not unassailable – it will be a big ask for the Envirosport-FIIG rider to come over the top and take the final leaders jersey. In the Cat One Master’s, Phil Dixon of Keystone Cycling continues to make his charge up the leaderboard. After being kept out of the placings for the first two rounds, Dixon has been consistent since this point and has slowly been moving up the leaderboard. Well out of touching distance of overall Leader Tim Decker (Team Prochem), Dixon took a classy win from a 6 man break with a perfectly timed throw to the line. This left Decker’s teammate Graeme Moffett on the second step of the podium by the narrowest of margins. Lightsview’s Bruce McKessor continues his recent good form with his second individual podium of the series. 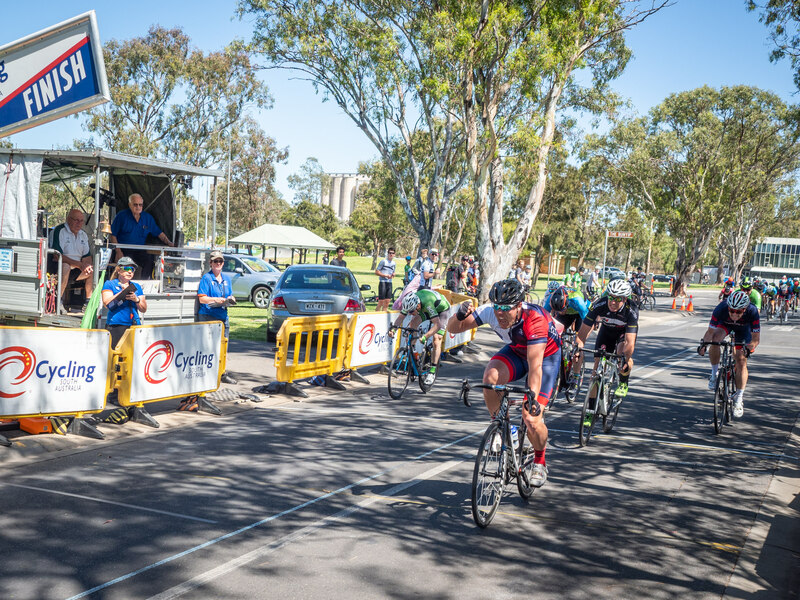 In the Cat One Masters Sprint Classification, a two-horse race has developed between Shane Johnson of Team ProChem and Matthew Dorian of Lightsview.  The opening round of the series saw Dorian take maximum points. Since this time Johnson has slowly chipped away at his lead before taking it outright with a 2-point lead after round 4. Round 7 saw both riders score 4 points – leaving a slender 2-point margin heading into the final round. This will definitely be a battle to watch. The Elite Women’s Race saw SASI dominate proceedings, to put them in a very strong position with one round to go. Maeve Plouffe was simply too strong – riding away from the rest of the field. An assault on the overall classification for Plouffe was always going to be difficult after missing several rounds due to the Oceania Track titles and her commitments racing for the Australian National Team at the Paris World Cup. Despite this, Plouffe takes a slender lead into the final round of the series in the Sprint Classification. 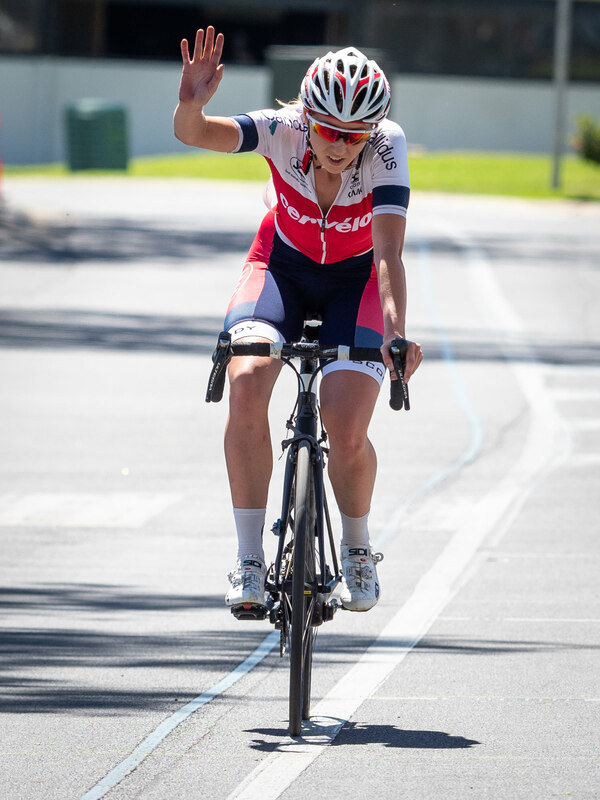 Plouffe’s teammate Chloe Moran takes a commanding lead into the final round, after finally wrestling the Scody Leader’s Jersey off of Butterfields p/b Van D’am Racing’s Jenny MacPherson. An incredibly consistent Eloise Vaughan (USG Cycling) has pushed her way into podium contention after riding to third on the stage. 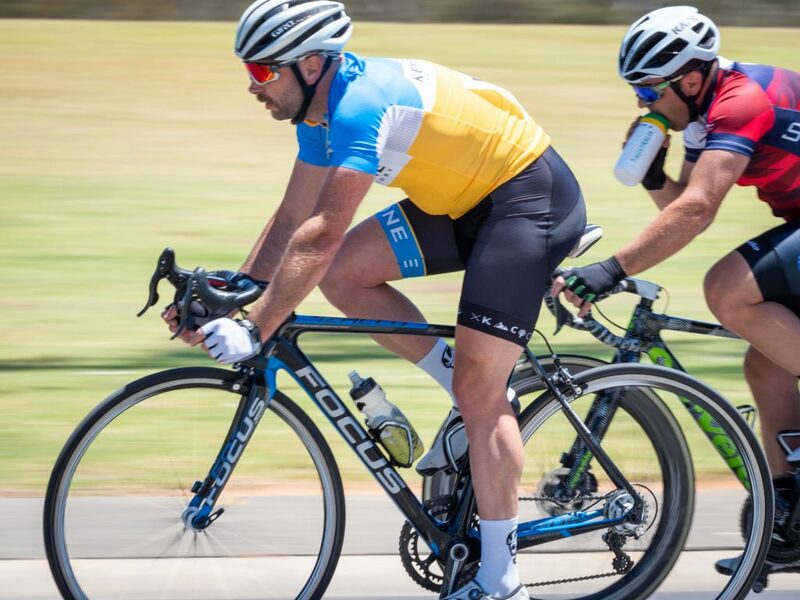 Cycling South Australia would like to thank the Rural City of Murray Bridge for hosting the round and the local community for being so welcoming. We’d also like to acknowledge the commissaires, corner marshalls, sports trainers and volunteers for making the day possible. The final round of the series will be held on the 9th of December in what will be a huge day!